Early diagnosis is critical to the effective treatment of arthritis. Unfortunately, effective, non-invasive methods for the early detection of the two most common forms of arthritis osteoarthritis (OA) and rheumatoid arthritis (RA), are currently lacking. New research by a team of Chinese investigators may provide the impetus for a diagnostic testing of OA and RA via biomarkers identified in the oral microbiome. While earlier studies provided evidence suggesting RA has a correlation with oral microbiome and may be affected by its dynamic variations, and another was conducted that compared oral microbiome in patients with RA and OA, neither screened for potential biomarkers for arthritis. The new research, “Variations in oral microbiome profiles in rheumatoid arthritis and osteoarthritis with potential biomarkers for arthritis screening” published recently in Nature identified eight oral bacterial biomarkers were identified to differentiate RA from OA, that could provide the information needed for the development of non-invasive arthritis screening. “Many clinical studies have shown that RA and OA may be associated with oral microbiota and are affected by it,” the authors wrote. “However, recent findings suggest that OA may also be regulated by the microbiome, but there are very few studies describing the potential effects of oral microbiota in patients with OA. For this study, the investigators compared the oral microbiota profiles of 110 RA patients, 67 OA patients and 155 healthy subjects, which showed significant differences between RA patients, OA patients and the healthy controls. Using the information on the structural changes in the oral microbiota of RA and OA patients the team then explored microbiota functions based on inferred metagenomes. As a result the researchers identified 16 oral pathogens associated with the RA and OA patient group. 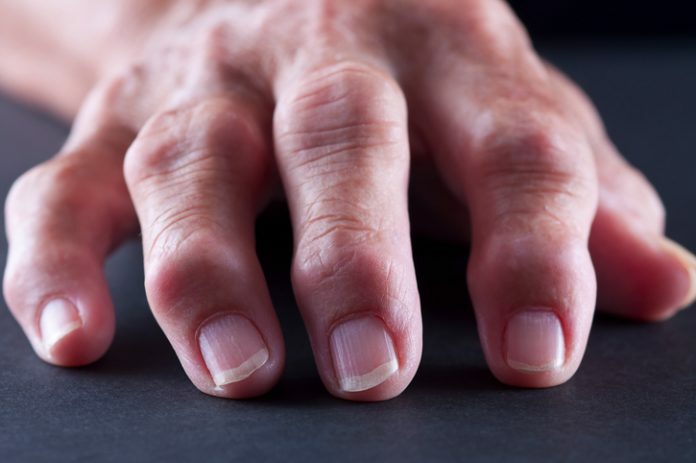 Further analysis narrowed that lsit down to eight —Actinomyces, Neisseria, Neisseria subflava, Haemophilus parainfluenzae, Haemophilus, Veillonella dispar, Prevotella and Veillonella— that provided the highest predictive values of arthritis. The encouraging results suggest a braoder study with a larger clinical cohort to validate the findings, the researchers said.